Selecting the right shoe can help individuals to protect them against common injuries associated with their type of workout. Since the early days of sport, athletes have used athletic shoes to not only heighten performance rather protect their feet as well. A snug and well-shaped fit that is tailored to your foot is a perfect choice irrespective whether it’s just a sprint down the road or an entire 50 km marathon. Several kinds of research have revealed to express the significance of shoe selection for a specific athlete. In recent years, the tinsel talk of the town is the flat feet problem. Although some people consider it as a disability yet it is just a medical condition which occurs as a result of incorrect bone development or another condition, such as spina bifida. An estimated 20 to 30 percent of the population has flat feet, a condition that occurs when the arches flatten and make the feet sole completely touch the floor. There are a few reasons for this medical condition and the most common reason is hereditary. Others factors include overweight or obesity, pregnancy, aging, health conditions like diabetes, rheumatoid arthritis and a few others. Individuals having flat feet often have problems in finding the right shoes. However, this article will explain the best shoes for flat feet and some of the things you need to consider when buying your next shoe. If you are flat-footed, it is imminent to choose running shoes made especially for people suffering from flat feet. This will, in fact, avoid worsening of the feet condition and reduce the pain caused due to wearing the wrong shoes. In addition, it can speed personal bests, and stay in the best shape of your life. There are few things you need to ask before going for your next shoe such as, what is the cause of your flat feet? If it is due to hereditary, you generally don’t have much problem, so it is ideal to invest in minimalist shoes. It is the style of footwear with a minimal midsole that humans use to run comfortably and safely and providing the feet with a nominal amount of protection from small and sharp objects. 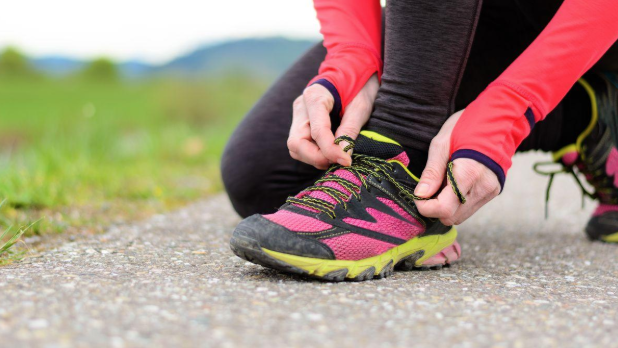 However, if you are an over-pronator or under pronator, stability shoes are rather good choices that offer a combination of cushioning, support, and durability. People with flat feet often feel pain in their ankles, knees, hips and lower back. So the minimalist shoes will not give you enough balance, however, the stability shoes give you the support you need and could even make you feel more comfortable. These shoes describe the fit as a dynamic one that adapts to the runner’s foot shape and motion. So if you’re a runner accustomed to more stability features, you might prefer these kinds of running shoes.